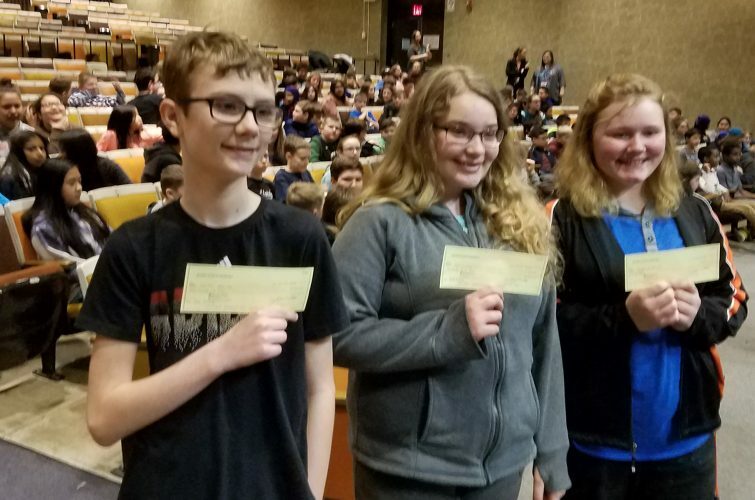 More than 1,100 middle school mathletes are competing in regional MATHCOUNTS meets, across the state this month. The meets are the qualifying events for the state MATHCOUNTS meet that will be March 9-10 in Plymouth. Winners of the state meet will advance to the national competition May 12-15. Regional competitions have been completed in Mankato, Rochester, Edina and Minneapolis. Competitions will be in Duluth, St. Cloud, Inver Grove Heights, Moorhead, East Grand Forks, Brooklyn Park and White Bear Lake during the coming week. The American Legion Auxiliary is offering a scholarship in the amount of $500 to a senior daughter or granddaughter of a veteran (living or deceased). Application forms can be obtained from Marshall High School student services. The deadline for applying is April 25. For questions, call Jeanne Kvick at 507-532-9729. The Catholic Daughters of the Americas local Court St. Joan of Arc 1291 is offering a $500 scholarship to a 2018 graduating Catholic girl who plans to continue her formal education. She must be a member of Holy Redeemer Parish or any of the adjacent Catholic parishes that do not have a Catholic Daughter Court. Applications are available at the Holy Redeemer Parish office or from Lois Novosad, 710 N. 6th St., Marshall, MN 56258. Phone: 532-5236. Complete forms, including letters of recommendation, must be returned to Novosad no later than April 15.